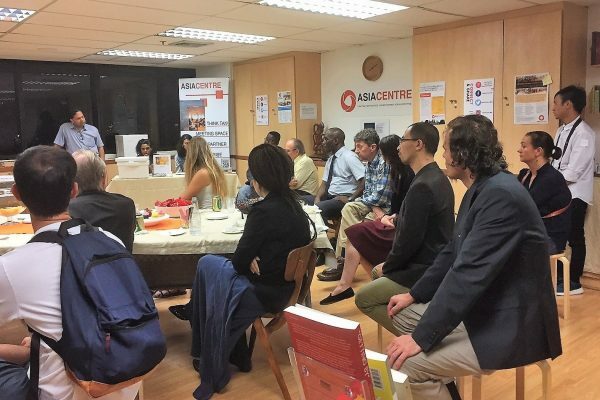 Four speakers came forward to share their research interests in their respective fields at AsiaCentre’s third International Faculty Club (IFC) Night. 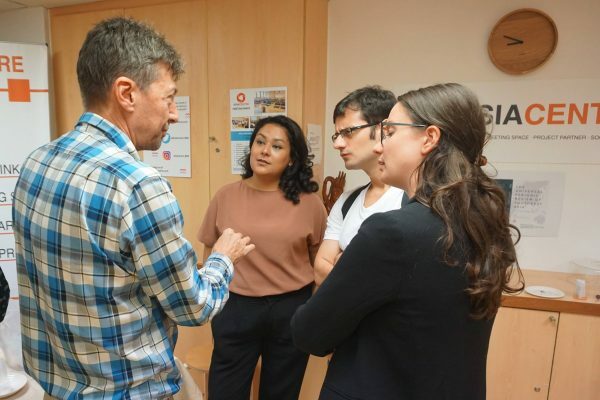 They spoke on a variety of topics, including niche areas such as on representations of Tibetan Buddhism in contemporary China, women’s entrepreneurship and digital technologies and linguistics. Jingyu (Forrest) Huang, introduced his study on a three-dimensional Buddhist Mandala in Pule Temple, in Chengde, China, and the understandings of these works in contemporary China. 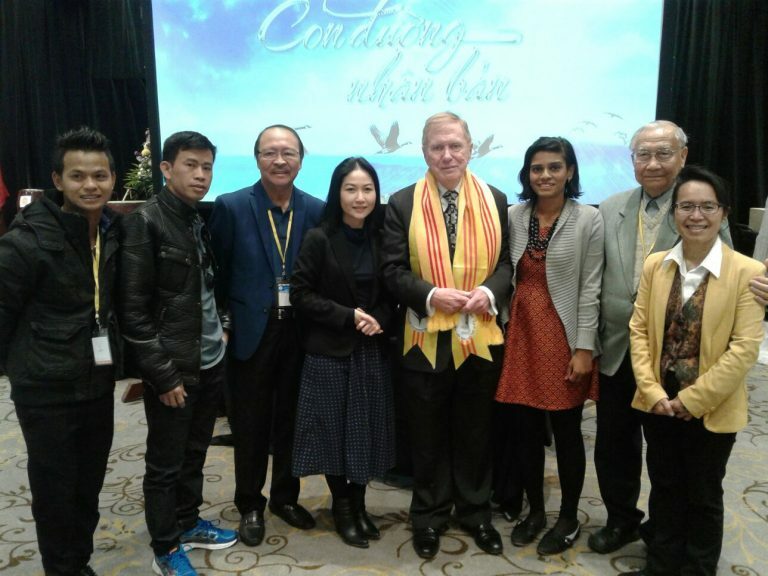 He shared his keen interest in the art history of Tibetan Buddhism. 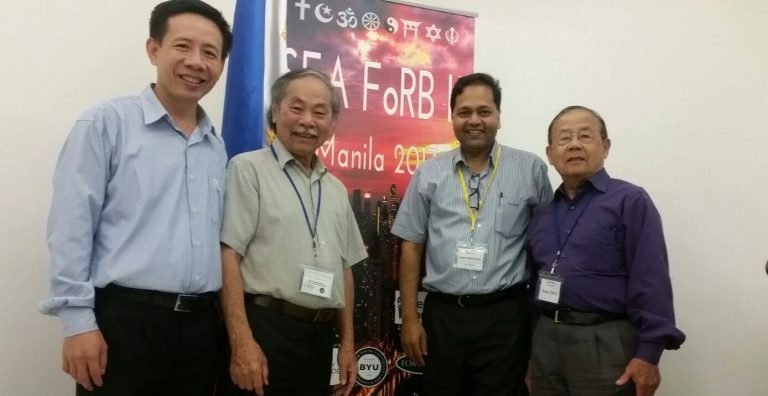 He is a Master’s student at the College of Religious Studies of Mahidol University. pursuing a doctorate focusing on this theme. She highlighted the relationship between entrepreneurial orientation and enterprise performance with women’s empowerment as mediator. Her ideas solicited much discussion and interest in the models that she is developing. 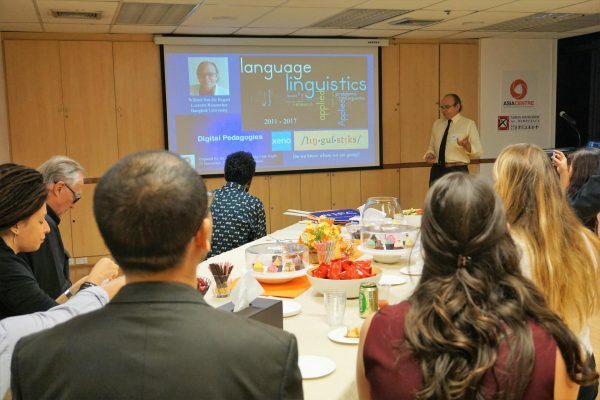 Research into linguistics for second language learners using digital technologies is Willard Van De Bogart’s area of expertise. He is a lecture and researcher at Bangkok University and offered his insights into this cutting edge research field. Youth engagement and empowerment also featured in the evening’s discussions as Hamsa Mohamed, a student at Stamford International University, introduced his work with and the role of AISEC in generating future leaders with innovative solutions to world challenges. 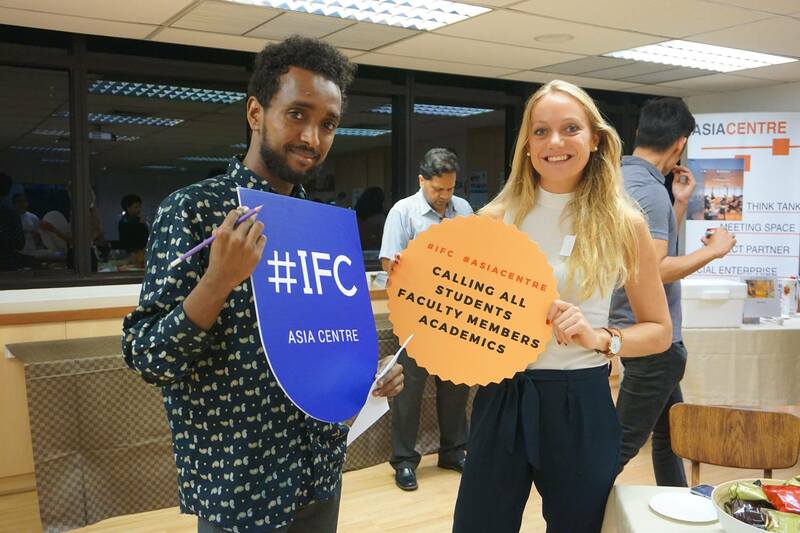 The evening saw new faces joining the IFC community of academics, researchers and students.Held on 23 November at Asia Centre, IFC attracted over 20 participants for the line up of speakers. 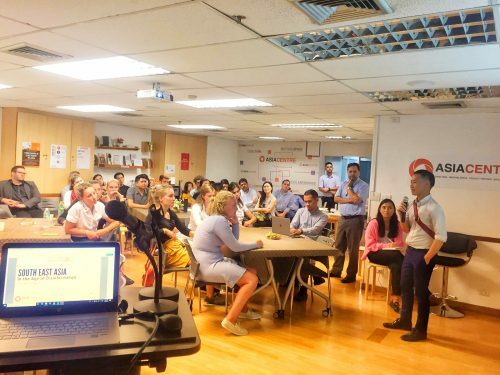 Asia Centre will continue to engage with the community through the IFC in 2018 and to seek new, innovative research and projects being undertaken in Bangkok and beyond.